This form of placenta preparation is Inspired by Traditional Chinese Medicine and follows the preparation of lightly steaming the placenta before dehydration. Jalapeno pepper, lemon and ginger are added to the steaming pot to aid digestion, and promote warming for the mother. The placenta is then thinly sliced, dehydrated, and ground into a fine powder. The powder is then placed into capsules. This method is recommended for mothers who's diet is mostly cooked foods or traditionally prepared foods. This method is prepared by thinly slicing the placenta raw prior to dehydration. After dehydration the placenta is then ground into a fine powder and placed into capsules. This method is recommended for mothers who's diet is more aligned with raw food preparations. A small piece of placenta is placed within grain alcohol to create a tincture. This tincture can be used when the placenta pills are finished to offer a similar support to the mother. Similar to watercolor prints. They are beautiful keepsakes of “The Tree of Life” that sustained your baby during pregnancy. All prints are safely archived on acid-free paper. 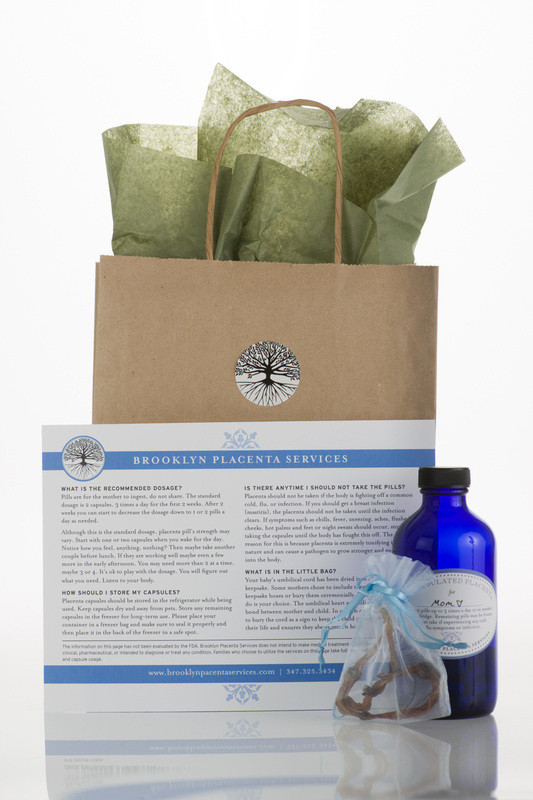 Brooklyn Placenta Services offers services in Brooklyn, Manhattan below 110th St. and parts of Queens. Many of our clients deliver at the following hospitals and birth centers: Mount Sinai West, Mount Sinai West Birthing Center, Mount Sinai Upper East Side, Mount Sinai Beth Israel, New York Presbyterian Weill-Cornell, NYU Langone, Lenox Hill, New York Presbyterian Lower Manhattan (NY Downtown), New York Methodist, Maimonides, Lutheran Medical Center, Brooklyn Birthing Center and Brooklyn Hospital.